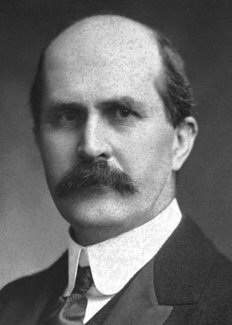 William Henry Bragg was born at Westward, Cumberland, on July 2, 1862. He was educated at Market Harborough Grammar School and afterwards at King William’s College, Isle of Man. Elected a minor scholar of Trinity College, Cambridge, in 1881, he studied mathematics under the well-known teacher, Dr. E. J. Routh. He was Third Wrangler in the Mathematical Tripos, Part I, in June 1884, and was placed in the first class in Part II in the following January. He studied physics in the Cavendish Laboratory during part of 1885, and at the end of that year was elected to the Professorship of Mathematics and Physics in the University of Adelaide, South Australia. Subsequently he became successively Cavendish Professor of Physics at Leeds (1909-1915), Quain Professor of Physics at University College London (1915-1925), and Fullerian Professor of Chemistry in the Royal Institution. His research interests embraced a great many topics and he was an adept at picking up a subject, almost casually, making an important contribution, then dropping it again. However, the work of Bragg and his son Lawrence in 1913-1914 founded a new branch of science of the greatest importance and significance, the analysis of crystal structure by means of X-rays. If the fundamental discovery of the wave aspect of X-rays, as evidenced by their diffraction in crystals, was due to von Laue and his collaborators, it is equally true that the use of X-rays as an instrument for the systematic revelation of the way in which crystals are built was entirely due to the Braggs. This was recognized by the award of the Nobel Prize jointly to father and son in 1915. During the First World War, Bragg was put in charge of research on the detection and measurement of underwater sounds in connection with the location of submarines. It was probably in acknowledgement of his work, as well as of his scientific eminence, that Bragg was made a C.B.E. in 1917 and was knighted in 1920. The Order of Merit followed in 1931. After having been a Fellow since 1907, he was elected President of the Royal Society in 1935. He was an honorary doctor of some sixteen universities, and a member of the leading foreign societies. Many other medals and awards were bestowed upon him among which may be mentioned the Rumford Medal in 1916 and the Copley Medal (its premier award) in 1930. He was the author of many books, including Studies in Radioactivity; X-Rays and Crystal Structure; The World of Sound; Concerning the Nature of Things; Old Trades and New Knowledge; An Introduction to Crystal Analysis, and The Universe of Light. His favorite recreation was golf. In 1889 he married Gwendoline Todd, daughter of Sir Charles Todd, F.R.S., Postmaster General and Government Astronomer of South Australia. 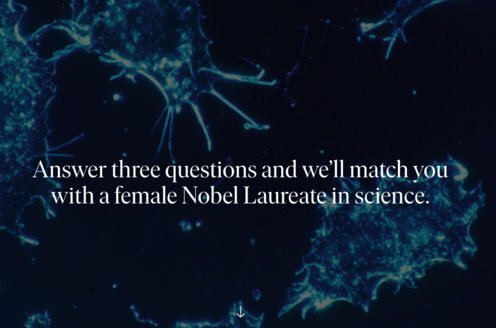 Their son William Lawrence Bragg shared the Nobel Prize with his father. After a life of astonishing productiveness, Sir William Bragg died on March 10, 1942.